Adobe has a very good track record of briefly surveying something before they implement it. This year, they decided to test different pricing structure to their current Adobe Cloud Plans. But, the new piece is a Smart App (Android & iOS) code named “Marvel”. There would also be a web-based version which would run through a browser. Marvel is a quick layout tool which emphasizes the simple drag-and-drop approach for web-layouts that are automatically mobile-friendly and quick templated print layouts. 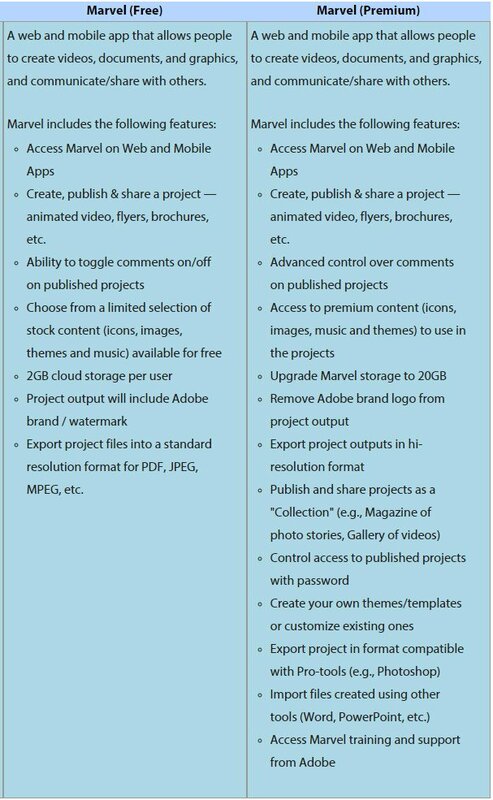 The big take-away is that Marvel will be an extra-fee on top of the Adobe Cloud and even the Adobe Cloud plus Stock. 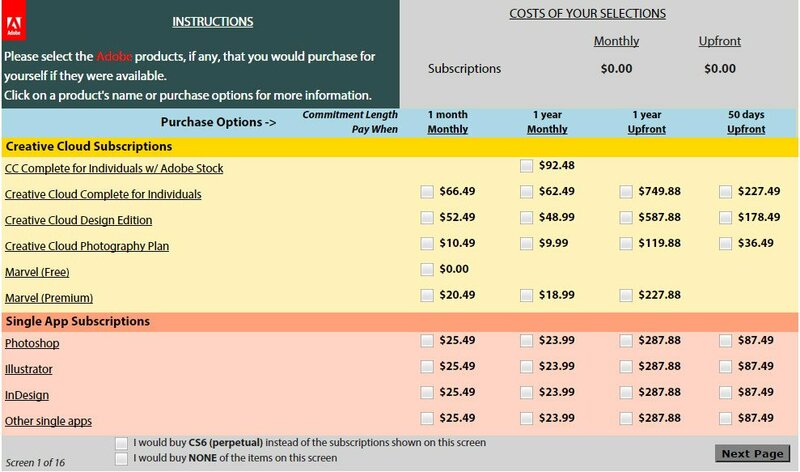 Adobe is still looking for ways to charge you more.